Deliveroo is a British online food delivery company founded in 2013 with a mission to transform the way customers eat. The UAE is one of 12 countries that it provides food from restaurants that do not normally offer a delivery service. 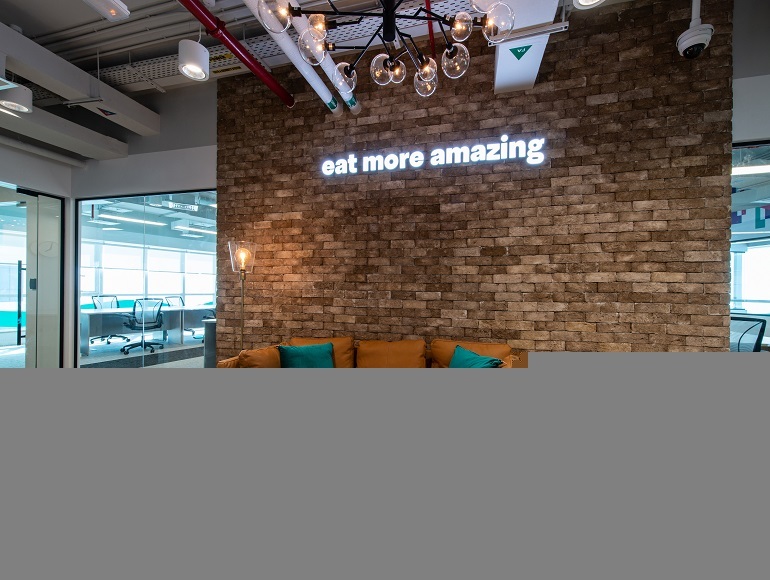 The new Deliveroo office is fresh, funky, and modern with the energy of a startup business. The design supports their business model with an open free flow work environment in keeping with their brand ethos. 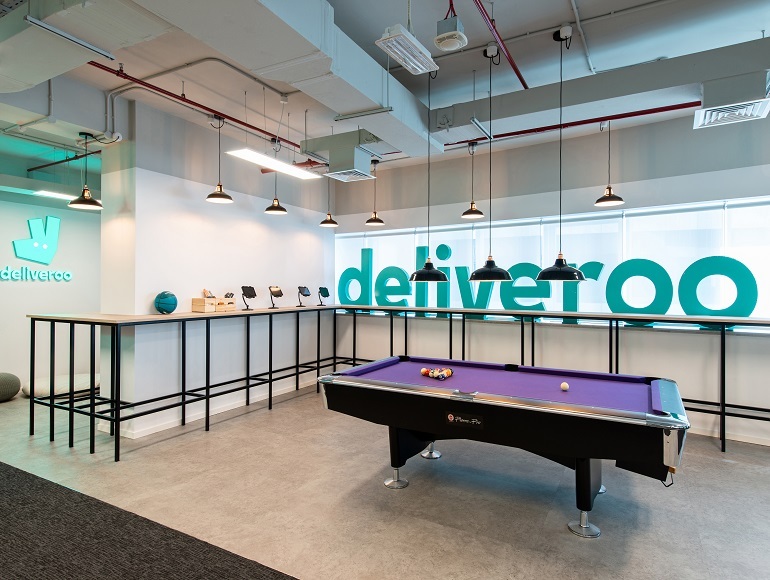 With the Deliveroo expansion in Dubai, Deliveroo’s aspiration was to not only provide adequate space for its increasing number of employees, but to also provide space for their “Friday lunch“ and social get togethers. To facilitate this, a large portion of the workspace is dedicated to a flexible pantry/working and recreation area. 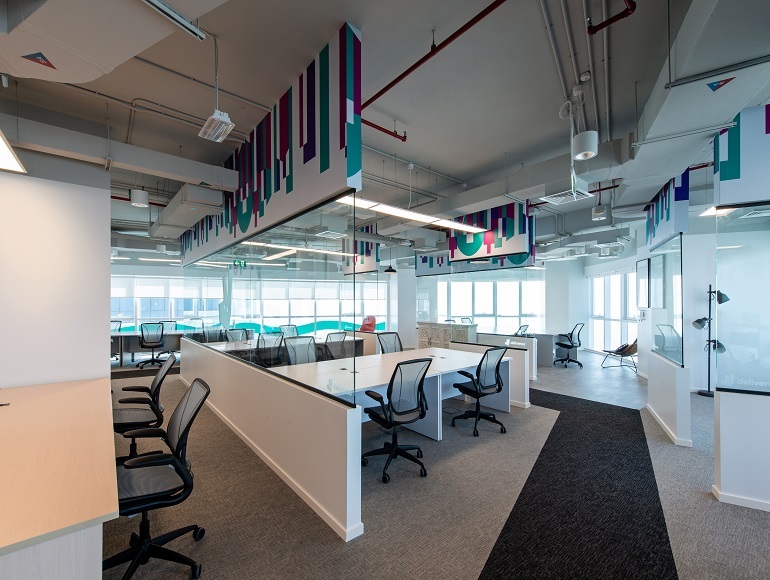 In addition to the office space, a new drivers waiting and meeting room was creating to providing a ‘logistics hub’ for their hard working delivery riders. 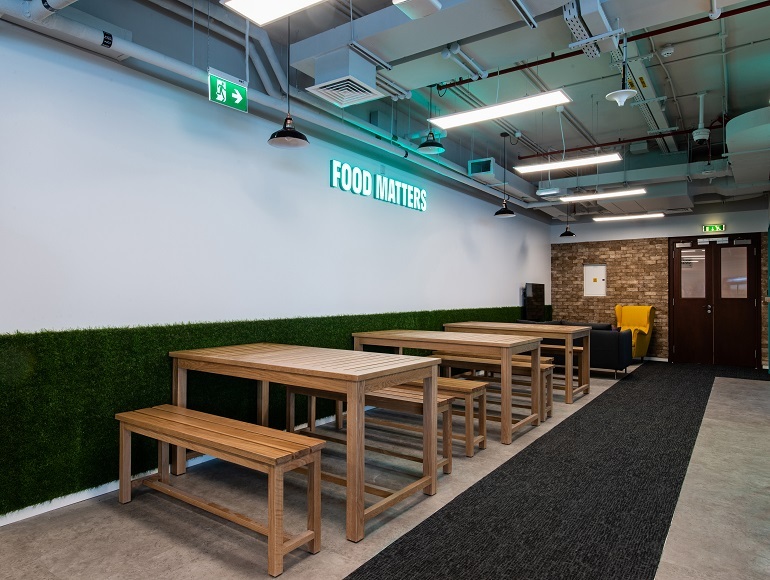 Summertown collaborated closely with project managers Compass and Deliveroo office project team to deliver this design and build project. Without the high level of communication between these teams, the tight move-in deadline and design alterations would not have been achieved.